Are there casinos in Barbados? That's a common question asked by visitors to Barbados. The answer is no. 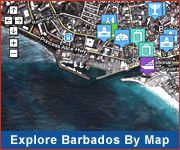 Casino gambling is not legal in Barbados and there are no casinos on the island. Despite that lack of casinos (in the form of card tables, roulette wheels, etc. 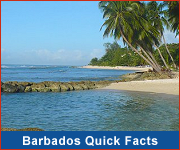 ), there are various other forms of gambling in Barbados including slot machines, lotteries and betting on horse races. These can be found at several locations across the island including in the popular visitor hotspots of St. Lawrence Gap and Holetown. The Lucky Horseshoe chain of restaurants - located at Warrens and Bagatelle on the west coast, and Worthing on the south coast - are home to some of the largest numbers of slot machines in Barbados. Horse racing in Barbados is held at the Garrison Savannah and is another opportunity to try your luck while on holiday. There are three seasons of racing per year. You can visit the track ahead of racedays to see the horses in training and maybe pick up a few tips! There are a number of lotteries run by The Barbados Lottery with draws carried live on the local TV station and radio stations. In addition, there are many scratch game cards available especially in the capital city of Bridgetown. Unlike the larger lotteries these scratch cards usually offer smaller prize values. So if you're looking to gamble during your Barbados vacation, remember that while there are no traditional casinos there is the opportunity to figuratively 'roll the dice'. Good luck!